In addition, most white or clear stones, many purple stones are related to the crown chakra. Crystals of other colors may also be related to the crown chakra as well. Crystals and stones may also be related to multiple chakras. A good way to get the energy of crown chakra stones is to place them under your pillow at night. 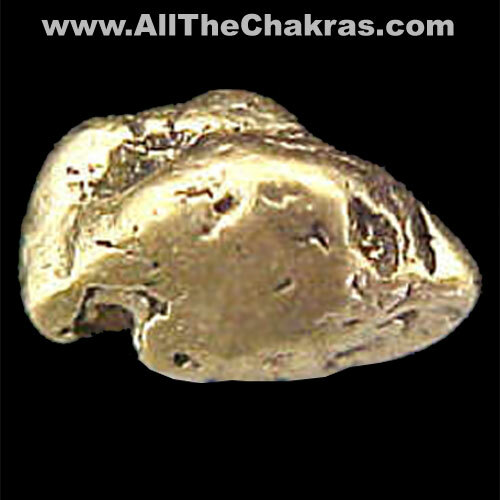 Gold is considered a crown chakra stone. Selenite, shown in polished slabs here, is a crown chakra stone. There are signs that the Crown Chakra is open and balanced or closed and imbalanced. There are also types of dis-ease that are related to problems with the Crown Chakra. Learning about these can help find ways to bring one to a healthy state. Herkimer "Diamond" Quartz is a crown chakra stone.